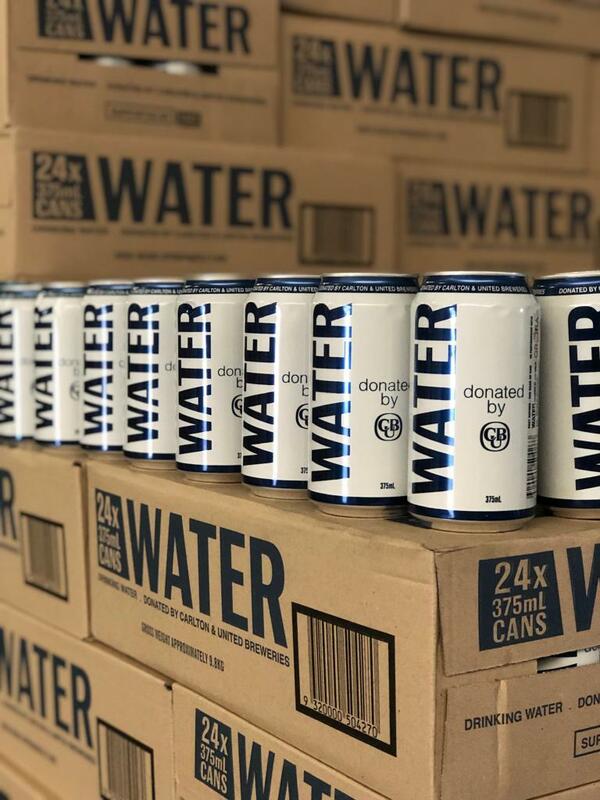 More than 80,000 cans of free drinking water will arrive in Townsville next week for people affected by the recent flooding. The water will be available to charities and community groups who are supporting residents in the regions. Potential recipients include people at evacuation centres, residents whose access to clean water has been compromised and volunteers helping in the clean-up effort. The water has been dispatched to Townsville as part of Carlton & United Breweries’ free drinking water program. The program was launched in December in conjunction with the Queensland Government and not-for-profit GIVIT (givit.org.au). CUB has produced thousands of cans that are stored across the state to ensure Queenslanders affected by natural disasters have access to clean drinking water. The water will be distributed through local charities and disaster recovery agencies. For further information about how to support GIVIT’s flood relief efforts, contact GIVIT’s Media Team on media@givit.org.au or 0444 503 759.